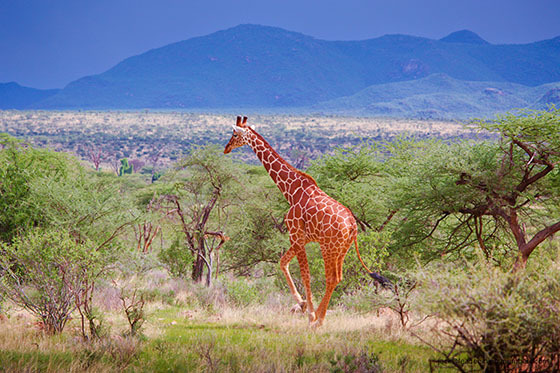 Safari photography is a unique blend of sports and landscape vision. Animals don’t pose. And, the lighting can’t be set. You have to be prepared for the moment. Sadly, I’ve seen many instances where people have traveled thousands of miles to show up at a game reserve with only a smartphone or point-and-shoot camera; after which they are somewhat disillusioned with the end result. The opportunities for once-in-a-lifetime imagery demands forethought. Here are my favorite tips for capturing the magic of an ancient world and its animal citizens. Most of us are a bit of a camera geek, so I’m going to begin with highlights on gear. It is possible to pack light, so that is going to be my focus. Zoom Lens: whether you bring a super-zoom camera or a DSLR, you’ll do best with a range that reaches a focal length of 400mm (35mm equivalent). Some of my favorite pictures are at wide ranges, but most of the keepers were at 400mm. Not everyone has this reach in their kit, unless they are doing a lot of wildlife photography or birding. To keep the cost down, I have a few suggestions. Because most of the photography is going to be in bright daylight, it’s not as important to have a fast lens that goes down to an aperture of 2.8. A 1.4x or 2.0x teleconverter can double your reach, if you have something like a 70-200mm. Check to be sure that your lens will accept a teleconverter, and I recommend that you stay with the same lens manufacturer. For the most part, I was using a 2.0x and made sure that my aperture was never lower than 8, which kept the images sharp. 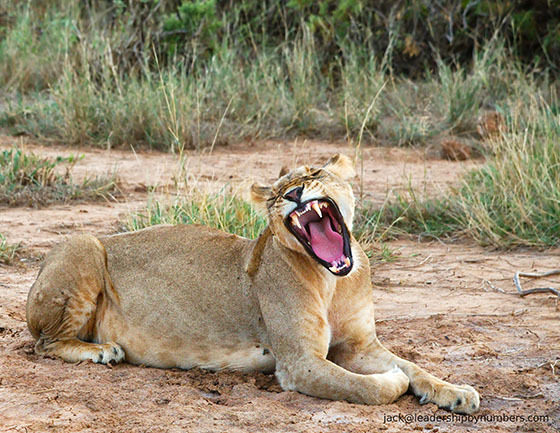 Another option is to rent a lens, and the new Tamron 150-600mm couldn’t be a better value for a safari. Of course, it’s always feasible to purchase a used lens, just for the occasion. Unlike a camera body, lenses keep their price value over a longer time. It’s likely that you can buy a used lens, use it for the safari, and sell it afterwards for the same price (or, at least, cheaper than a rental charge). With a polarizer, the lighting works best if the sun is on your left or right. Inline lighting (front or rear) has the smallest effect. Circular Polarizers aren’t inexpensive, so pick one for your widest lens, and then rely on a step-up-ring adapter to fit the filter to your smaller lenses. Be careful on panoramics when you’re using the polarizer–as one edge of the outside image might have a dramatically different sky color. Don’t combine the polarizer with a UV filter. In fact, forget the UV filter (modern lenses don’t need them and you want as much clarity as you can capture). Storage Media: Lots of memory cards. They are small, and nowadays they are pretty inexpensive. I used a card holder that was on my camera strap. If I wasn’t paying attention to my count, and I hit zero I could quickly add in a replacement memory card. I also brought an external 500G hard drive, on which to perform backup every night. I always had two copies of every image. Actually, I always had four, because I set my camera for RAW + jpg. The purpose of the jpgs were to be able to quickly show the photos without the delay required by post-processing. Batteries: Bring enough batteries for two days and a charger. Using a image stabilized zoom all day long can drain your batteries dead. If you stay at a lodge, then you can recharge at night. However, a game reserve is Off the Grid. All power is supplied by a generator, and they rarely run the generators 24×7. I’d also recommend a car-charger, so that you can have fresh batteries during the outing. Maintenance: A lenspen is amazingly useful to quickly brush off road dust. Second up are microfiber cloths, closely followed by a Rocket Blaster air cleaner (only if you are changing lenses). Camera Protection: Neoprene camera covers and rubberized lens hoods give some impact dampening when you are being jostled around on rutted roads. Our family has been on three safaris from Masai Mara to Samburu, and the single most important decision is the safari travel company. They don’t just coordinate a package, they handle all the connections and ensure that you are surrounded by competent staff. They’ll know which game reserves are the best value for the season. And, it’s the skill of their driver who will be able to place you in the best locations, and spot the hidden opportunities. It’s impressive and almost unnerving to be with a guide who can call out wildlife from hundreds of yards away, minutes before we arrive. For our travel, we’ve used SpurwingKenya.com and we’ve done camping and lodge safaris. Let me stop here for a moment, to explain about making safari arrangements. For some people, that’s the only reason they are visiting an African country. It’s not uncommon to make the arrangements to be picked up directly from the airport and immediately start the safari trip. In the instance of our family, we have been involved with Nyumbani.org (an organization dedicated to HIV+ affected orphans). The safari was a few days of celebration at the end of a visit. Travel Tips: Don’t check your most expensive gear. Camera and lenses stay with you. In fact, I would include at least one change of clothing (luggage can get lost). Because the flight will be long, I’d also recommend that you consider compression socks to ease your circulation. Hand sanitizer and ear plugs are helpful. Don’t miss part two of this post! Sign up for our free weekly newsletter. About the Author: Jack Dausman prefers to contribute to fine art photography, from image to print (when he is not working in Information Technology). I am going on safari to Kenya & Tanzania in October & really appreciate your advice. Am considering a sigma 150-600 for my Sony mirrorless camera but I am older & fear I may not be able to hold it steady. We will be in an open top vehicle most of the time. Good luck on your safari in October!